– most of my customers do. Brides, bosses and Aunty Freda have all been left gobsmacked by my performances that are sure to be a huge hit with your guests! I’ve entertained the likes of Duncan Bannatyne, Waitrose and Lloyds TSB, as well as thousands of happy wedding guests every year. I was even flown out to Zurich in December 2015 to entertain at eBay’s Christmas party. I absolutely love putting a smile on people’s faces and seeing their jaws drop at the tricks I perform. Whether you’re organising a wedding, corporate event or private party, I’ll ensure your event isn’t one to forget. perfromance will leave you and your guests speechless! I absolutely love what I do and I love to do it well. I get to travel all across the UK (and the world! ), meet loads of amazing people, perform in some of the most prestigious venues around and be part of so many special events. Best of all, I get paid for it! My performances will leave you both roaring with laughter as well as wondering how on earth I managed to pull it off. Read my reviews now. I am based in the North East of England, however, I travel all over the UK & internationally too. This website is full of raving reviews, in action performing photos and a video filmed at live events too! For more information and to check my availability, please get in touch! 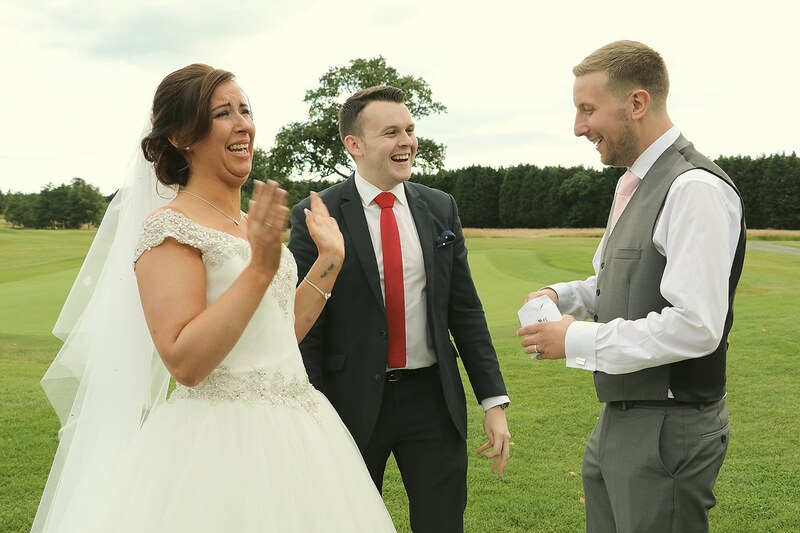 I’ve entertained the likes of Duncan Bannantyne, Waitrose and Lloyds TSB, as well as thousands of happy wedding guests every year. I was even flown out to Zurich in December 2015 to entertain at eBay’s Christmas party.